Tshegofatso Seakgoe wows fans with leading role on top Mzansi Magic show and with all the current hype around this phenomenal actress I just had to interview her and find out how her dream all started. 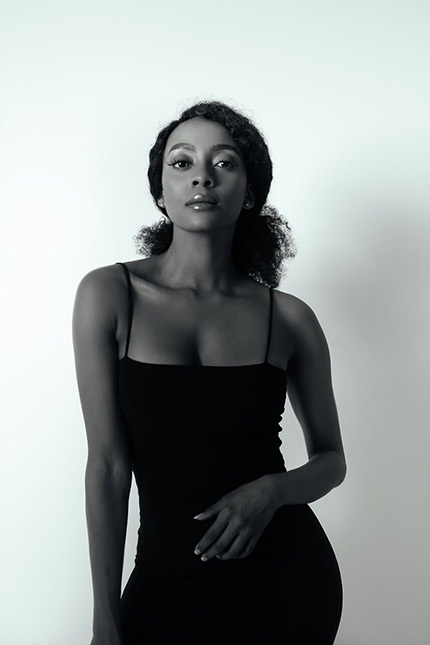 South African actress and model, Tshegofatso Seakgoe, is making a name for herself in the Mzansi Magic telenovela The Throne; a role which sees the 28-year-old play the part of Princess Mosetsana Kwena: a young, independent and carefree woman who is the apple of her mother’s eye. Seakgoe’s illustrious acting career began in 2016 when she landed the role of Glory on the first season of The Queen. Just three months later, she was cast as Felleng in Keeping Score, which aired on SABC2. 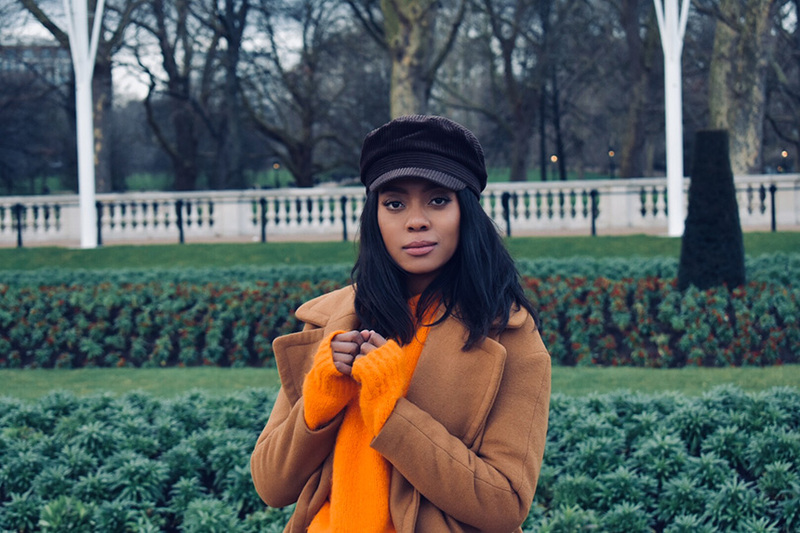 A year later in 2017, Seakgoe was cast in the recurring role of Zimkatha in Broken Vows on eTV, and she also guest starred as Abiola in the drama Fifty: The Series, a Nigerian TV show which was aired on EbonyLife TV. However, her biggest role to date is that of Mosetsana Kwena in The Throne. 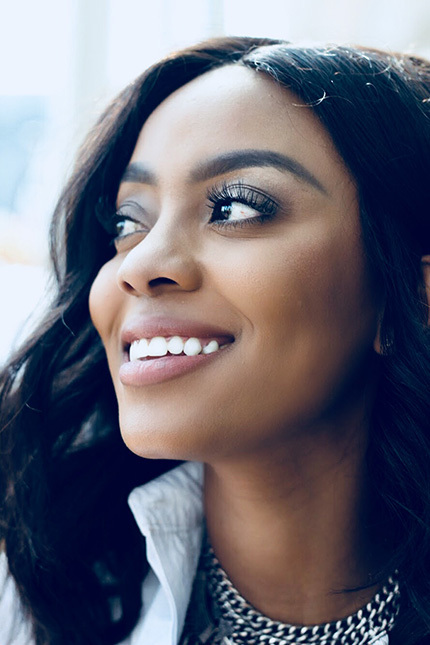 Born in Meadowlands, Gauteng, Seakgoe had her first encounter with the entertainment industry at the tender age of eight after being featured on YO-TV and singing for Nelson Mandela at his 80th birthday celebration. 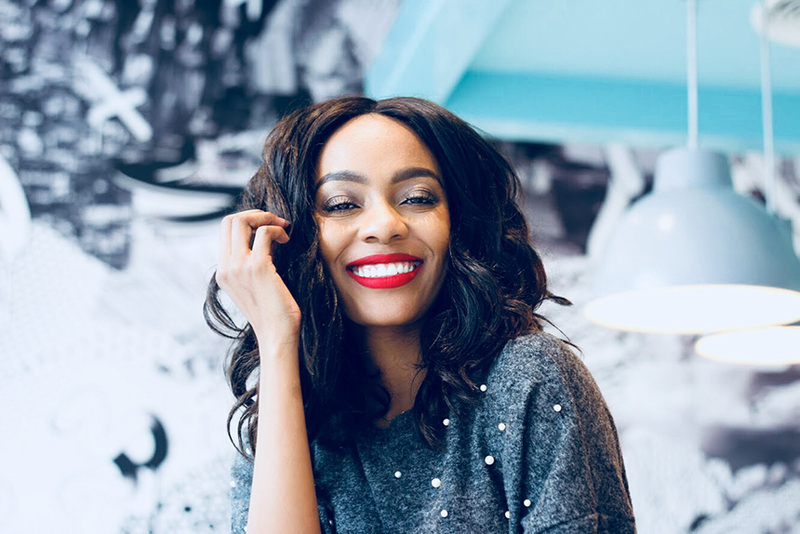 After matriculating from Greenside High School in Johannesburg she went on to study International Relations and Diplomacy at Monash University. To her surprise, her career in the entertainment industry as an adult kicked off just six months into her studies. In the middle of 2010, she was approached by a friend to model for a photography entry into a prestigious competition for ELLE Magazine. Together they went on the win the competition which catapulted her into the spotlight. Some of the jobs that followed include presenting the Pick n Pay Road Show, a regional road show aimed at entertaining children with games whilst shining light on the Pick n Pay brand. She also went on to emcee for Edgars Beats and became an ambassador for Legit Fashion. Not resting all her laurels on acting and modelling alone, Seakgoe landed her first role as a radio presenter alongside Tbo Touch on Metro FM in 2011. The Throne, which airs every Monday at 19h00 on Mzansi Magic, channel 161, is a drama which follows the Kwena Royal Family as they battle it out for power after valuable mineral deposits are discovered on the land of the BaTswana Kingdom. Seakgoe currently divides her time between South Africa and Dubai, living her best life. 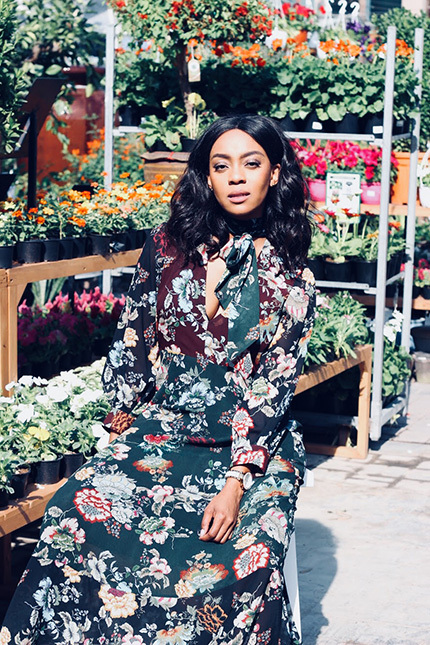 RUAN: You are one of the most spoken about actresses in South Africa and making a name for yourself in Mzanzi Magic telenovela The Throne. Can you share your journey with us on set of this prestige show? 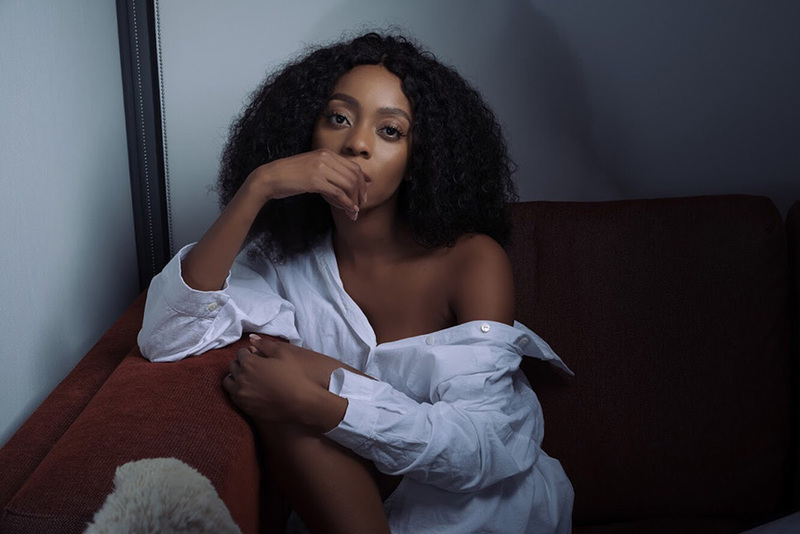 TSHEGO: I don’t know about being one of the most talked about actresses in South Africa as I’m fairly new to the industry but I’ve been working towards this moment for most of my life. The journey has been amazing, filled with lots of lessons and once in a lifetime experiences. I wouldn’t change it for the world. I consider myself very blessed to be able to do what I love and call it work. RUAN: Could you share with us the story behind your biggest role as the young Princess Mosetsana Kwena in The Throne? TSHEGOMosetsana is an outspoken, fierce, kind and loyal character, which is somewhat similar to my character, but I’m also a lot more introverted in real life so it was a lot of fun playing Princess Mosetsana. RUAN: What has your journey in your career been like to date? TSHEGO: I started modelling while I was doing my under grad and through that I discovered my love for acting. My journey has been very fulfilling so far as I’ve been able to work with some of the best people in this industry. I love that I’m constantly learning something new and with each set I get new experiences. It’s always exciting. RUAN: How did you make it in the South African film industry as an actress? TSHEGO: I don’t consider myself as having made it yet, there’s still so much that I still want to do and I think I’m still a newcomer in the acting world as I’ve only been doing this for two years. I take my career very seriously and so I’m constantly trying to better myself with acting lessons and studying actors I admire. RUAN: What are some of your career goals for 2019? TSHEGO: I’d like to work on a film; a drama series and my ultimate goal would be to do theatre. RUAN: Was becoming an actress something you’ve always wanted to do from childhood days? TSHEGO: Not at all, when I left high school I went on to study International Relations and Diplomacy and worked in politics for 3 years. It took me a while to really figure out what I wanted to do with my life and I’m just glad I finally did. RUAN: Who would you say has been your inspiration leading you to your current success? TSHEGO: My family, they inspire me to work harder and just be the best possible version of myself. RUAN: A lot of hard work goes into being an actress, what would you say are the key elements in excelling as well as you have to date? TSHEGO: Discipline, a good attitude, a good memory. You must memorize A LOT of lines and finally passion. Being an actress isn’t easy and glamorous, so you have to truly love what you do or you’ll quickly get burnt out. RUAN: How do you manage your busy schedule on a daily basis? TSHEGO: Prioritizing and putting everything in my calendar. When I’m working on a new film or TV series, that comes first and everything else has to fit around it. For me my career comes first and it’s the most important thing to me. RUAN: If you could give yourself a hashtag (#) right now as you see yourself today. What would it be and why? TSHEGO: Oooh that’s a tough one…uummmm #LivingLovingLearning. RUAN: What advice would you give to our youth who would like to follow in your footsteps? TSHEGO: Never give up and trust your gut. FOLLOW TSHEGOFATSO SEAKGOE ON THE BELOW MENTIONED SOCIAL MEDIA PLATFORMS TO STAY ON TOP OF WHAT SHE IS UPTO NEXT! Informative and refreshing as always, loved getting to know Tshego.